Nowadays custom-writing industry wins more and more fans among learners. The reality is, however, that many involved companies claim to provide original academic papers, but in fact they do not. Beware if a company provides “pre-written” or customized papers. The so-called “pre-written” pieces are taken from the databases that custom-writing agencies hold; these databases are created by adding the custom research materials which were most likely sold before. Luckily, there are user-friendly services online, which can help you detect easily whether your paper is authentic. Besides their plagiarism check functions, the tools have rather useful options which you may find beneficial while evaluating the overall quality of the provided content. Let us consider the most popular of those. Grammarly.com. A really valuable plagiarism checker. Moreover, this is the tool that may help you overcome some of the inadequacies you may have while writing, i.e. grammar and spelling issues. 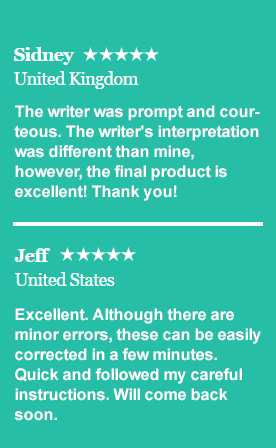 The tool is considered one of the world’s best grammar checkers. They test 250 points of grammar; review the text; catch spelling mistakes; identify little punctuation errors. So, if you need to check some content uniqueness or to overcome some of the writing limitations, consider trying this service. Plagiarisma.net. One of the free online plagiarism detectors. The system allows scanning for plagiarism through your browser and they offer an option to download some software as well, not to mention the fact that the tool supports 190 languages. So, users all over the world can take advantage of this software which is also accurate in “digging deep” for duplicate content over at search engines. Moreover, it allows processing quite a lengthy text with more than 40,000 words in it. Duplichecker.com. Another free online software for plagiarism check. Provides scanning, duplicate content and any matches are highlighted instantly. What you need to do is just to copy and paste the writing you want to process into the special box, or upload the file with the text under consideration, or enter the URL of the webpage you want to scan. To use these functionalities, you need to sign up which is totally free and does not take much of your time. Plagiarismcheck.org. The plagiarism detection service which helps to check your paper easily to make sure if it is an authentically written work. The plagiarism scanning system is rather simple in use, but at the same time efficient and reliable. The advanced algorithm solution of the system is based on provision of consistent check against web resources for duplicate content. The tool’s peculiar feature is that it allows processing an unlimited number of words, pages, or papers. You may think of the tools above in terms of using them on an ongoing basis, especially when you are not the one doing the writing. One of the guarantees that make EssayForMe.com standout is that we ensure 100% originality of the delivered product. EssayForMe.com does not have any database of “pre-written” projects and will never have. Each and every custom paper we cater is guaranteed to be plagiarism free.